Eyes are the first feature noticed by someone looking at your face. Eyes are an essential aspect of your appearance. However, it is the same area where the signs of aging appear first. As skin gradually ages it loses elasticity. Gravity and loss of elasticity cause the excess of skin to collect on upper as well as lower eyelids. Eyelids get loose and sag. Underneath the eyes, puffy bags appear. The surface of the eyelids stretches, muscles get weak, and fat pockets become prominent. 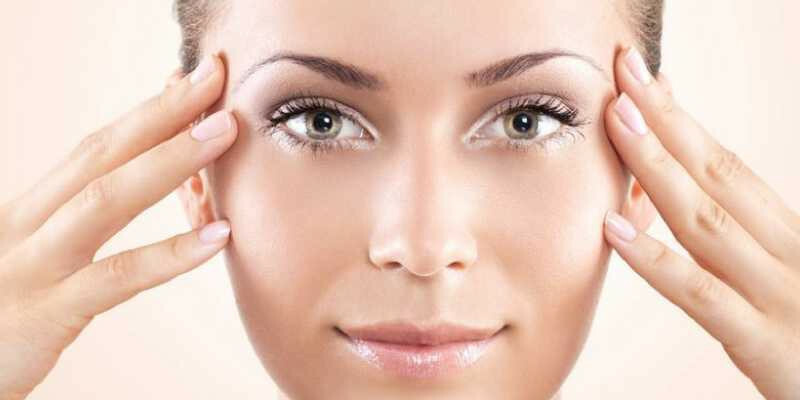 Excess of loose skin around eyes gets wrinkled and fine lines appear. Also, the fats cushioning eyeballs bulges in the lower and upper eyelids. All these changes make the person look tired and old. In some people, extra skin folds hanging over the eyelashes get in their way of vision. Aging is a natural process. You can’t stop it. But blepharoplasty or eyelid surgery in Mumbai can bring your youthful look back. Blepharoplasty is a surgical procedure to reduces the bagginess from lower eyelids and remove the bulging fat, excess of skin and soft muscles from upper eyelids or lower eyelids. Mostly it is done for aesthetic reasons but also improves the eyesight of older individuals whose vision gets affected due to sagging upper eyelids. *This procedure is not a solution for dark circles, facial wrinkles or crow’s feet. Also, it doesn’t alter your facial structure or give you your ideal look. 1. Cosmetic eyelid surgery– It is done solely to improve the appearance of eyes to make you look youthful and awake. 2. Functional blepharoplasty– Eyelid surgery performed for medical purposes is known as functional blepharoplasty. *Asian eyelid surgery or double eyelid surgery is performed to enhance or create upper eyelid crease to westernize eyelid appearance of Asian people. It is done to eliminate the absent upper eyelid crease appearance in Asian people. Difficult in wearing contact lenses or glasses due to sagging of upper or lower eyelids. Forehead discomfort as a result of overusing muscles to lift sagged skin in eyelid area. Sagging upper eyelids interfere with your peripheral vision. It is a procedure to redistribute or minimize the accumulation of excessive fat tissue under the eye. Also, the sagging skin under the lower eyelid can be tightened by removing excess of skin and creating a firmer surface. If lower eyelids are drooping as a result of the weakening of underlying muscles, then the muscles are tightened. In some cases, lower blepharoplasty is combined with injectable procedures and fat transfer to fill the hollows under the eyes. To correct droopy and inflated upper lids excision of fat tissue and loose skin is done. The saggy surface that gives a tired and droopy look is trimmed, and the remaining skin is reattached to create the firm look of upper eyelids. Also, underlying muscles are tightened. *Lower and upper blepharoplasty can be done together and in conjugation with other procedures such as filler injections, forehead lifts, brow lift and skin resurfacing to improve the skin texture and wrinkles. In some patients, the eyelid skin is elastic and supple but there is a requirement of reduction of excess pocket around the eyelids. In such cases, less-invasive transconjunctival eyelid surgery is done. People with good health, realistic expectations and without any severe eye conditions are considered best candidates for blepharoplasty. The individual should not suffer from any medical issues that may impair healing and should be a non-smoker. Most of the candidates are 35 years or older. However, if droopy or baggy eyes runs in your family, you may need to decide sooner. Discuss your goal with your blepharoplasty surgeon in Mumbai before deciding on the surgery. The surgeon needs to discuss your medical history. Your doctor evaluates the risk factors for surgery such as diabetes, thyroid issues, allergies, circulatory problems, dry eyes or glaucoma. The number and severity of health issues may eliminate you from the list of blepharoplasty candidate. *Do let your doctor know if you had any surgery in the past. If you smoke, you need to quit smoking for several weeks before surgery as smoking interferes with the healing process. Before surgery, you will undergo a physical examination that includes measuring your eyelid parts and testing tear production. Vision examination is done to check your vision and examine your eyes. Photographs of your eyes are taken from various angles. These pictures help to plan surgery. Also, pictures are needed to support an insurance claim. You will also be inquired if you are taking any medications, supplements, vitamins, alcohol, tobacco or drugs. You will have to stop taking any herbal supplement or medicines that may increase the risk of bleeding such as ibuprofen, naproxen sodium, naproxen etc. Eat a light meal in the evening before surgery and do not drink or eat anything after midnight. The morning you are going to have blepharoplasty take essential medicines recommended by your doctor with just a small sip of water. Arrange someone to drive you back home after surgery. Make sure someone stays with you at home for the first night. Usually, blepharoplasty is done in an outpatient setting. In general, you do not require to stay in the hospital overnight unless you have planned several other cosmetic procedures for that day. The whole procedure takes about 1 to 2 hours under normal conditions. Local or general anesthesia is administered. You remain awake if local anesthesia is given but the drug numbs the area around your eyes. Systemic sedatives may also be provided intravenously or orally to enhance local anesthesia. General anesthesia is given if you have planned to undergo other cosmetic surgeries along with the blepharoplasty at the same time. General anesthesia puts the patient to sleep during the procedure. In upper blepharoplasty, your surgeon marks individual creases and lines of the lids to keep the scars invisible along the natural folds. After the incision is made in the crease or natural fold of upper eyelid the excess of fat is either removed or repositioned with the help of surgical scissors, scalpels, radio-frequency cutting devices and cutting lasers. In lower blepharoplasty incision is made along the smile crease and lash line of lower eyelid in an inconspicuous site. Through the incision excess of fat, skin, and muscle are trimmed. In transconjunctival blepharoplasty incision is made inside the lower eyelid to remove or redistribute excess of fat. Skin is not removed by this technique. *The judgement on how much skin, fat or muscle is to be removed, is made by the surgeon during the procedure based on preoperative evaluating factors such as bone structure, facial muscle structure, and eyebrow symmetry. * In patients with dry eyes less tissue is removed to avoid much air exposure. – Sutures or skin glue is used to close eyelid incisions. Sutures used to close incisions are not visible to eyes. Mostly these sutures are self-dissolving. If tiny stitches are non-dissolving, they are removed in a week. They do not leave behind scars. Immediately after the surgery tiny sterile bandages are applied. This is not done in transconjunctival blepharoplasty. In most of the cases, eyes are not covered. You need to spend some time in the recovery room after the surgery where you are monitored for possible complications. Recovery is mild, and the same day of the surgery you are allowed to return home. If you experience severe vision changes or pain call your surgeon immediately. During the healing process, eye area will appear red and bruised. Eyes are swollen for the first few days. Also, white of sclera may appear bloodshot and red. Complete healing takes a few weeks. Every hour the night after the surgery place ice packs on your eyes for about 5-10 minutes. The next day uses icepack four to five times throughout the day. After 48 hours warm compress is applied for 5 minutes a few times in a day to promote healing. Pain medicines are given if needed. Narcotics are rarely required. Use prescribed ointment and eyedrops. Do not wear eye makeup until complete healing takes place. Avoid strenuous activity, swimming and lifting heavy weight for a week. If you use contact lenses, do not wear them for a couple of weeks after the surgery until swelling of the eyelids subsides. Protect your eyes from sun and wind. Better wear sunglasses. With the help of pillows sleep with your head elevated. For a week after the surgery, do not take medicines that increase the risk of bleeding such as aspirin, ibuprofen naproxen sodium etc. Limit watching TV, reading and working on a laptop or computer during the recovery period. In most of the cases, blepharoplasty gives satisfactory results. You get a refreshing and youthful look that will boost your confidence. There is no more excess skin and droopy eyelids.The bruising and swelling subside in 10 to 14 days. Surgical cut scars may take a month to fade. Depending on your health the result of blepharoplasty may last for as long as ten years or more. But as aging continues, in future, you may need to repeat the procedure. 1. What are the associated risks and complications of blepharoplasty? There is minimal risk associated with eyelids surgery such as: Persistent fat Lose muscle or skin Sensitivity to the sun or bright light Difficulty in closing eyes Persistent pain Dry eyes Infection A pulled-down lower eyelid lash line The abnormal coloring of the eyelids Bleeding from incision Poor healing Rarely visual loss or changes happen. These complications are infrequent but contact your doctor as soon as possible if you experience any of them. 2. Does eyelid surgery cover insurance? As blepharoplasty is mostly done because of cosmetic reasons insurance may not cover it unless the surgery is done to improve your vision or following an injury or due to eye deformity. 3. How to chose best blepharoplasty surgeon? Meet Mumbai’s most preferred Board Certified Cosmetic Plastic Surgeon, Dr. Parag Telang. Get his opinion. 4. Is eyelid surgery a painful experience? Not at all. You may experience little discomfort and burning in eyelids after the surgery which goes in an hour or so. In about a week after blepharoplasty, you may return to your work or exercise. 6. Can blepharoplasty lift brows? 7. How much blepharoplasty costs? The cost of eyelid surgery depends on surgeons experience, your location and complexity in your surgery. 8. Are there alternatives to blepharoplasty? Blepharoplasty is the best way to correct cosmetic and functional issues related to the eye area. 9. How long should I wait after eyelid surgery to drive? Until a green signal is given by your doctor after blepharoplasty do not drive.